Process: The design process starts by gaining empathy for the user through interviews then digging deeper to understand the user’s thoughts, emotions, and motivations, determining how to innovate for him or her. By understanding the choices the user makes and the behaviors he or she engages in, the needs can be identified and designed for. Inferences from what was heard become insights about the user’s feelings and worldview to leverage in the design. A problem statement is then defined. 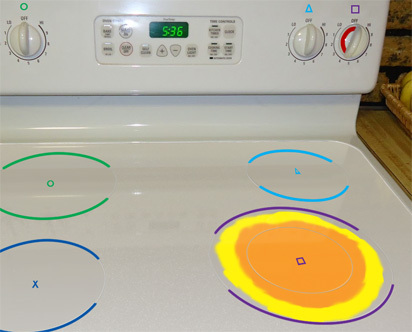 The problem statement for this project is; “User, who likes to use the stove top to prep or store food needs a way to not burn or melt their utensils, ingredients, burner covers, or themselves and others because of the convenience of the location is important.” This statement was used to generate ideas that meet the user’s needs. These possible solutions were shared with the user, their feedback was captured before further ideation to generate a new solution and ultimately the prototype. 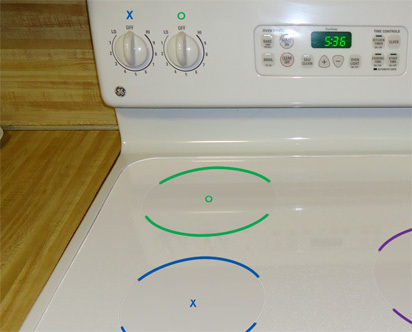 With this cognitive ergonomics redesign, I show three different applications of color specifically intended to reduce these stove top accidents and continue to allow the stove top to be a convenient location to place items. 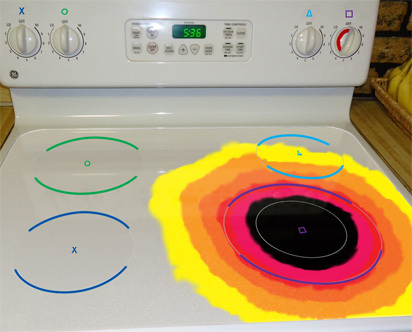 Through the meaningful application of color the safety of the stove top has been improved by taking advantage of the contrast, the emotional aspects, and the meaning of warm and cool colors. 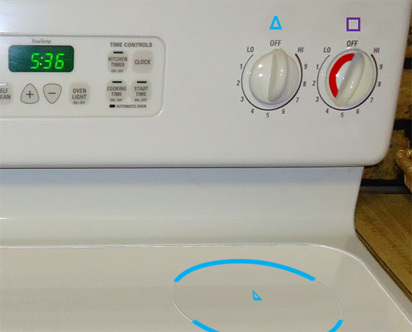 Visual indicators of which dial operates a certain burner, which dials are on, and what areas of the stove top surface are unsafe to touch provide a safer and convenient place to prep and store food items.